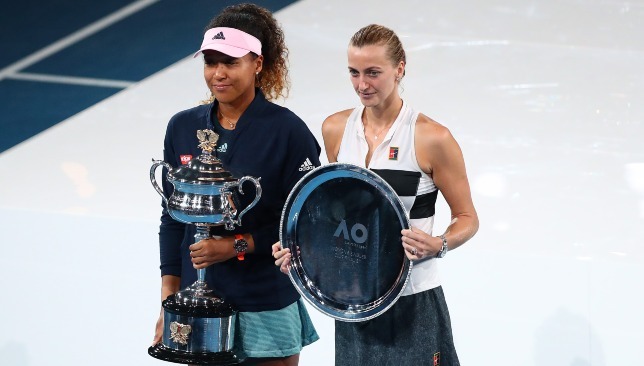 Naomi Osaka (l) and Petra Kvitova (r) pose with their trophies. There is no stability in women’s tennis they say. It’s Serena Williams and then everyone else they argue. These first-time Grand Slam winners are flukes they claim. Those are just some of the stereotypes that have erroneously been attached to the women’s game in recent years. People who have been paying close attention to the WTA tour throughout the year, and are not just tuning into the Grand Slams, know very well how deep the field has become and how stiff the competition is. This past fortnight in Melbourne, the women finally showed the world that there can be stability from the ladies on the major stage, and there can be continuity. 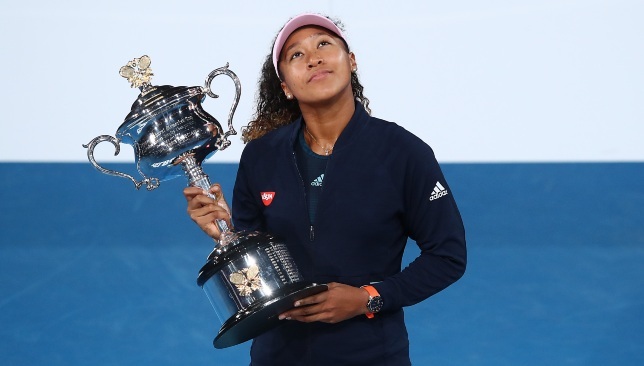 Naomi Osaka on Saturday became the first woman since Jennifer Capriati in 2001 to follow up a maiden Grand Slam title success by winning the very next major. The 21-year-old did it by overcoming two-time Wimbledon champion Petra Kvitova in a three-set thriller that epitomised many of the things people love about this sport. In a final where it felt like everyone was rooting for both of them, Osaka and Kvitova reminded us how boom-boom tennis can be so much fun, and equally tense. Osaka saved five break points in the opening set, withstanding some powerful returns from the 28-year-old Kvitova and took a commanding lead. The young Japanese then got three championship points on Kvitova’s serve in the ninth game of the second set. It looked like it was all going to be over for the Czech lefty. Osaka had won her last 59 consecutive matches after winning the opening set. Surely she was going to close this out. But then again, there’s a reason why Kvitova’s nickname is ‘P3tra’ – she doesn’t back down and has a knack for winning in three sets. Kvitova dug deep and produced some clutch tennis to save all three match points and held for 4-5. Now it was Osaka’s turn to serve for the title. Instead she got broken, soon lost the second set, and cried as she walked off court to take a toilet break. Almost everyone watching thought that collapse from Osaka would spell the end of her bid for a second consecutive Grand Slam title. Kvitova is experienced and when she held in the opening game of the deciding set, it was the fifth game she had won in a row. Unfazed, Osaka then took three games on the trot. She was playing like that second-set collapse never happened. She erased those lost championship points from her memory, forgot about those tears that were flowing down her cheeks, and got back to work. That is an amazing ability to have. Instead of dwelling on what could have been, Osaka was already locked in on the present, with an eye firmly fixed on her goal. For a 21-year-old who was ranked outside the top-70 just a year ago, that’s just emotional maturity you cannot buy. Kvitova, the sport’s most beloved fighter, kept on fighting. But when Osaka got a second chance to serve out the match, she did not make the same mistake twice. Her coach and fitness trainer always cite her ‘teachability’ as one of her greatest assets. She showed how much of a fast-learner she is by serving out the match less than an hour after she failed to accomplish that in the second set. “I think that was a huge effort from her. There’s nothing harder than to change the way you feel about things in an instant, especially on a stage like this, and she really showed maturity in getting her emotions under control and finding another way to win again. I’m really proud of her for that,” said her coach Sascha Bajin. Her fitness trainer, Abdul Sillah also had complete faith in her. “I had no doubt. It’s about mindset and mental toughness. We have a new slogan we call ‘EAT all day’, it means ‘effort, attitude and toughness’. So I knew eventually when she went to go reset, she knew what to do after that,” Sillah told Sport360. In Osaka’s mind, not breaking Kvitova’s serve in that game where she had match points is not the end of the world, after all this is Petra Kvitova, and her lefty serve is the envy of most players on tour. Accepting that and moving on was the only choice in Osaka’s mind. Kvitova showed immense courage all the way. As for Kvitova, there will never be enough superlatives to describe her courageousness. She is not someone accustomed to losing finals – she had won her last eight consecutive finals before Saturday’s defeat and was 26-7 overall in title matches – so this one obviously stings. But she also can see the bigger picture, and the fact that two years ago she couldn’t hold a racquet and had just survived a knife attack will help her move past this. Kvitova inspires in victory and in defeat because she already won the biggest battle of her life. Osaka is the new world No. 1. Kvitova is No. 2. Simona Halep is No. 3. Women’s tennis is lucky to have such a trio at its helm. Now make sure you follow their journeys all year instead of checking in every Grand Slam. The thrill and drama is just getting started! Jamie Murray would love to see his brother Andy back on a tennis court, but his main hope is for the 31-year-old to be able to live without pain. In the end, the mind went where the body could not follow. 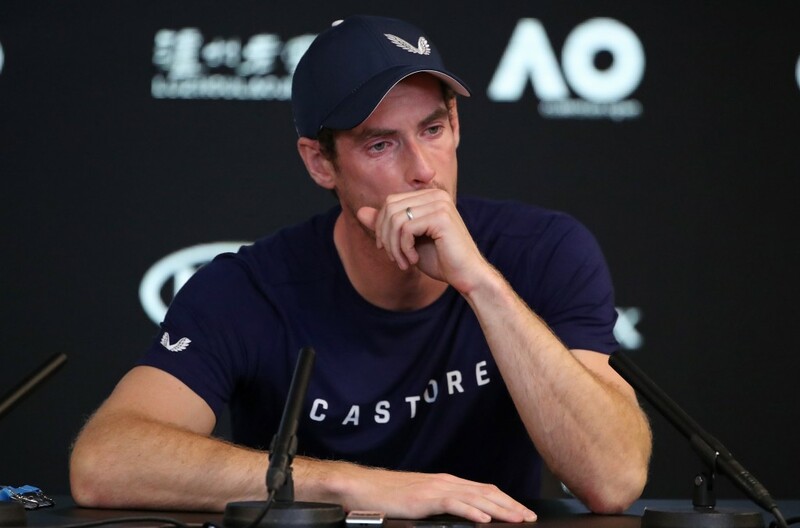 After innumerable consultations, half a dozen withdrawals, one futile surgical procedure, months of rehabilitation and untold agony, a hip socket – one measly joint – has stolen years away from Andy Murray. For 18 months it has seemed a slow march towards the inevitable, but only Murray and his team know just how long he has had to cope with that gremlin next to his groin, having been described as ‘longstanding’ when the problem was first reported in June 2017. The 31-year-old was – and for the moment, still is – a player who would fight for every cause, however hopeless. That is why, for however gloomy the forecast got, it was hard to doubt that this steely Scot would find an answer. The pain finally put a full stop on the one answer he was trying to avoid. So on Friday, in a press conference at Melbourne Park, he was forced to address it not only to the world’s media, but himself. And it was hard to watch. Really hard. The impending retirement of a sports star is no tragedy, but it reaches for the heartstrings in a peculiar way. He has been a part of many lives since going up two sets against David Nalbandian at Wimbledon in 2005, before his gangly 18-year-old frame conked out. Even then, the mind was going where the body could not follow. That is why the very best athletes deserve our adulation, our glorification. Not because they are superior, but because they are living embodiments of human potential. With that singular mindset comes thousands of hours dedicated, thousands of hours sacrificed. They remind us of what we could be capable of, if we tried that little bit harder in our particular walk of life. What a life Murray has led. Laying the ghost of Fred Perry to rest after 76 years and becoming the first British man to win a Grand Slam since 1936 at the US Open in 2012. Then at Wimbledon a year later, the tournament for so long synonymous with strawberries, cream and plucky Brits coming up short. Two Olympic golds, one in London. A Davis Cup – another British millstone from 1936 – all the more remarkable for his victory in all eight singles rubbers over the course of the season. A further Wimbledon success, a total of nine Grand Slam finals, the ascension to world No1 in 2016. He is truly one the finest tennis players to have ever lived in an era where it just so happened that three slightly finer ones, Novak Djokovic, Rafael Nadal and Roger Federer, were also around for. It was a practice match against Djokovic in which he felt a different throb of pain, one from the heart. The Serb has won more than his fair share of matches against Murray but never without having to pull off the spectacular. 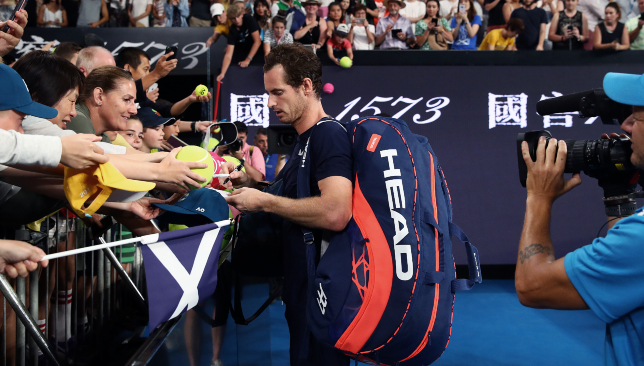 After his peer had dragged him around the Margaret Court Arena for the best part of two sets, a ‘helpless’ Murray could only look back on those famous duels in past tense. So, what next? The mind may now be wounded too, but the boy from Dunblane who at one time conquered a sport has already proven he has so much to offer beyond collecting trinkets and trophies. 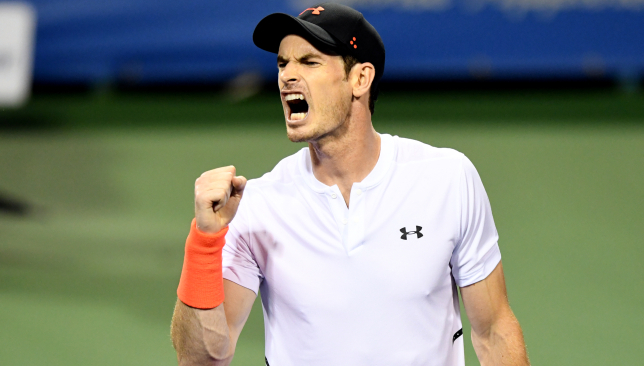 Murray has been a consistent champion of feminism within the sport, including equal pay for women and the appointment of a female coach in Amelie Mauresmo. It was Billie Jean King, the most tireless advocate of equality within the game following a similarly storied career, who predicted that his ‘greatest impact on the world may be yet to come’. He was made a knight of the British realm not only for his services to tennis but to charity, raising awareness for many issues such as the prevention of malaria and cancer awareness. Followers, on social media especially, will know the perception he is a po-faced, humourless Scotsman, who once dared to make a joke about the England national football team, has long since been proved false. His skill set could lend to a governing role. There are issues that need an experienced voice to weigh in such as calendar congestion, controversial rule changes, the proposed revamping of several tournaments, widespread allegations of match-fixing. Closer to home, the Lawn Tennis Association is struggling with participation numbers and has a history of failing to develop the talents of its own juniors. Don’t forget, Murray had to go abroad to achieve his potential. Indeed, where his mind goes, a sports body will surely follow.